Today is a big day for the Tufin team. The increasing demand for a policy-based approach to network security means that our company is growing quickly – and the U.S. is one of the markets where we’re seeing a lot of that growth. Earlier this year we announced the opening of our U.S. headquarters in Boston, and today we are proud to announce the expansion and official opening of our second U.S.-based office, located in Akron, Ohio. To celebrate the opening, Tufin’s executive leadership and employees welcomed Mayor William Roth of the City of Fairlawn to the new office for a ribbon-cutting ceremony on August 13. The Akron office is an important one for us at Tufin, as the new location will expand on the original services and support focus to now include a call center dedicated to inside sales and lead development. Ohio is a natural fit for Tufin’s U.S. expansion. We’ve had a successful services team in Akron for a while, and this opening is an important step in formalizing our relationship with a great city filled with technical talent. We’re officially opening the new office with 30 Tufin employees, but look forward to seeing that team grow by 50% this year, and by 100% by the end of 2019. The success Tufin has seen in Ohio so far has come as no surprise. Akron is known for its strong tech talent market, thanks to top universities such as Case Western, Kent and the University of Akron, who are keeping local tech companies well-supplied with ready recruits. At Tufin, we’re all in on Akron and we’re all in on its people. 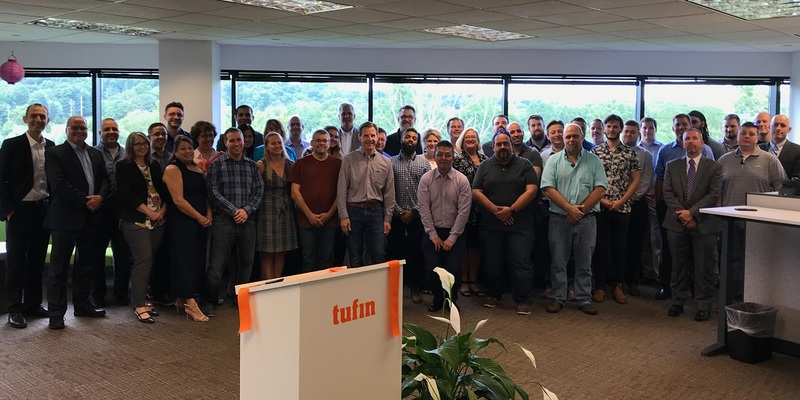 As we expand, Tufin is committed to maintaining the close-knit, collaborative culture that has enabled us to become the leader in network security policy orchestration. Even as the company approaches nearly 400 employees, we intend to continue long-held company traditions, such as our new hire orientation in Israel, where employees become acquainted with company policies, receive an introduction to each department and experience company cultures and values firsthand. If you’re in Ohio and are interested in joining our team, we are hiring! Check out our careers page on our website, which is updated regularly. We post our jobs on our social channels too, so be sure to follow @TufinTech and follow us on LinkedIn. For an inside look at life at Tufin, check out our recent profile in VentureFizz.